ZANESVILLE, Ohio – Another event took place at the Muskingum County Fair Grounds on Saturday bringing fun and celebration of recovery. The free event features music, an entertaining show, and Nationally known speakers in the recovery community. 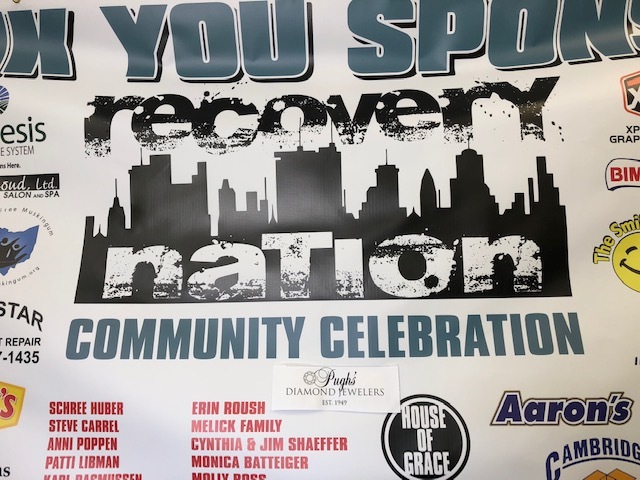 Recovery Nation hosted the event with the purpose of bringing the community together to have a good time and connecting people that share the passion for recovery. “We have been blessed enough to go to many events throughout the United States. And we wanted to bring a small portion of what we have witnessed to Zanesville because we have been blessed with the people we have met, the people that are successful in recovery,” said Co-owner of Recovery Nation, Ember Ridgley. Other co-owner of Recover Nation, Jeremy Ridgley, said that this event is very important because they offer an abundance of recovery resources. “There’s all types of resources for all different sorts of people here today. The big thing that you can expect out of this event is education and fun. That’s what we’re here to help our community get,” he said. For more information on the mission of Recovery Nation visit their website, www.recoverynationapparel.com.